I am a less government person. I am a free market person. The less government – the freer the market – the better. I was born and raised in the DC area. The federal government’s incalculably massive inanity – has been infused and imbued in my psyche since birth. I understand the very many nuances of its $4-trillion-per-year stupidity – inherently, instinctively. DC is antithetical to the free market. And a government that spends 20% of our $20 trillion – ONE-FIFTH of every penny every man, man and child creates – is the antithesis of less government. Sure, I’ll quote Barack Obama here: The arc of history…is loooong. This government didn’t achieve this much massiveness – overnight. When I was born, the government’s budget – was half what it is now (in then-dollars). It has grown – inexorably, incessantly – since…forever. With the very pleasant hiatus exception…of the 1920s’ Calvin Coolidge Administration. DC relentlessly grinding endlessly forward – until we arrive at today’s $4 trillion heinousness. Unfortunately, given the political realities we face – we cannot immediately return to my birthdate budget. We can not turn this Titanic on a dime. Our progress must be incremental – if there is to be any progress at all. The arc of history…is long. There are trillions of things the government is currently doing (oh-so-many of them unconstitutional). If we can chip away at each of them – again and again – progress begins to be made. It may not be fast – but it is the only politically viable way back to any semblance of sanity. A penny-per-dollar a year – for five years. And then…balance. The smallest of small increments. As a specific example – there is the recently almost redrafted Renewable Fuel Standard (RFS). Which is a titanically stupid bit of anti-free market government meddling in the private energy sector. Where the government has over the years spent billions of dollars subsidizing its mandate that we burn food as fuel. We take food out of the mouths of people and animals – and instead spend a ton of money putting it in our gas tanks. It takes 26.1 pounds of corn – to make but one gallon of ethanol. 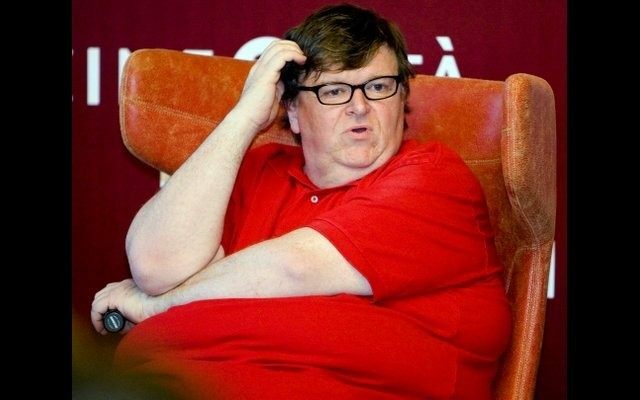 That is to efficiency – what Michael Moore is to dieting and marathon running. “The RFS program, established in the Energy Independence and Security Act of 2007, is administered by the Environmental Protection Agency to force the industry to blend ever-increasing volumes of biofuel like ethanol into motor fuel. Every gallon of ethanol that is blended into fuel generates a RIN, which is then sold to a producer or importer of gasoline. $500,000…per day. That’s $182.5 million per year. For but one refinery. I can’t imagine why refineries are filing for bankruptcy. And please keep all of this titanic government nonsense in mind – when next you are angry at the price you pay at the petroleum pump. “U.S. President Donald Trump has decided to allow exported ethanol and other biofuels to count towards the annual volumes mandated by the U.S. Environmental Protection Agency…. This massive increase in the amount of biofuel that counts toward the RIN total – would massively decrease the RIN price. It ain’t an outright end to the program – but it is (finally) a step in the correct direction. Iowa’s allegedly Republican Senators – Joni Ernst and Chuck Grassley – went (corn) nuts. They went nuts – in crony defense of their first-presidential-election-state-in-the-nation crony corn farmers. Higher RIN prices – mean higher ethanol prices. Which mean higher corn prices. And therein lies the cronyism. Unfortunately, President Trump started listening to Iowa’s Dynamic Crony Duo – and…. Trump was correct the first time. His immediate instincts…were, as usual, right on the money. Trump ran defending the RFS. But more importantly and famously – he ran on draining The Swamp. The RFS…is one of the swampiest bogs in DC. Trump’s initial deal – was just the sort of compromise he should reach. It drained this particular Swamp bog – not all the way, but quite a good bit. And it greatly improved the opportunities for the free market to further exert itself in this now-government-choked sector. Except for the political lives of two crony Iowa Senators. Hundreds of millions of Americans – outweigh a handful of corn farmers and their two crony Senators. Trump needs to stick to his original deal.